Zero-Max is a leading provider of motion control solutions and one of the industry’s most trusted coupling manufacturers. Products include composite disc couplings, servo couplings, offset couplings, torque limiters, right angle gear drives, linear actuators, and mechanical variable speed drives. Zero-Max products are known throughout the world for their innovative designs, high quality, high performance, and durability. Composite Disc shaft couplings deliver high performance with zero backlash and are designed to withstand the punishment and stress of demanding servomotor applications. These high speed flexible shaft couplings are ideal for cyclic applications where speed and repeatable accuracy are critical for keeping systems going 24 hours a day, 7 days a week. Other brands of couplings may have high torsional stiffness specifications; however, they can be too brittle to withstand the punishment of high speed reversing applications. The working parts of these disc couplings is made of high precision composite material. This unique design has high torsional stiffness, yet allows for misalignment in high stress applications. They have excellent chemical and moisture resistance and can operate without maintenance in hostile environments. ServoClass couplings provide the optimal blend of performance, durability, and price. They are manufactured from high quality materials using state-of-the-art CNC manufacturing equipment. ServoClass shaft couplings are ideal for servomotor actuators. Control Flex shaft couplings are specially designed for use with feedback devices such as encoders. 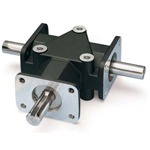 They are engineered for zero backlash operation to ensure encoder accuracy. Additional features include clamp hubs for vibration-resistant shaft engagement and flex elements which provide low bearing reaction loads. Schmidt shaft couplings are uniquely designed to handle applications with challenging or extreme misalignments, including models for offset and inline shaft applications. Overhung load adapters are hydraulic system components that protect shaft seals and prevent breakdown by absorbing internal and external stress from the motor and pump. They also provide a seal to protect motor components and prevent contamination of hydraulic fluid. SAE overhung load adapters prevent costly damage to shaft seals and are used for fan drives, recycling equipment, mixer units, industrial conveyor drives, and various other hydraulic motor applications. Roh’Lix linear actuators are threadless, mechanical, screw-type devices designed to convert rotary motion into precise linear motion and thrust using rolling element ball bearings. These adjustable automatic overload protectors will slip when overloaded, providing linear clutching without any additional clutch mechanisms. The Roh’Lix is intended for horizontal or vertical axial loading applications. Sideloads and twisting loads should be avoided whenever possible, as they cause uneven bearing loading and can shorten lifetime. The Phas-Lok Adjusting Hub is an economical, yet precision device that provides an easy way to change the phase relationship of a drive component and shaft. It is ideal for fine-tuning timing adjustments, adjusting for chain elongation, and sprocket tooth wear. Adjustable speed drive speed adjustments are easily made by moving a lever control through an arc or turning the hand-wheel of a screw type control. In either case, easy and precise speed control settings are possible with Zero-Max adjustable speed drives – also referred to as variable speed drives. These premium 90° gear reducers are compact and feature efficient, quiet operating spiral bevel gears. They are available in 1:1 and 2:1 speed ratios with available two or three-way versions. Torq-Tender overload safety devices incorporate torque limiters for dependable overload protection. When a jam-up or excessive loading occurs, the built-in torque limiter will reliably and quickly release to prevent system damage. Torque value is controlled by the part number that is ordered; that value determines what spring is used during assembly of the torque limiter.